With the summer heat has come a baby boom! From piglets to pups and some very fluffy Kookaburra chicks there’s loads of new arrivals to meet! Our male Mangalitza pig, Boris, and our female British saddleback, Beryl, have become parents for the third time! We couldn’t believe how many piglets she gave birth to: her first ever litter numbered just two piglets, last summer she had four and her third was fourteen! Some are brown and stripy like their dad when he was a piglet and some are black and white like their mum. Our Kookaburras have also recently become parents to four fluffy-looking chicks. The chicks are more grey in colour and have not yet got their characteristics blue wing feathers. All are now fully fledged and exploring their enclosure in our Australasia exhibit. Keep an eye out for them or an ear, as with four new Kookaburras their laughter like call can be heard across the Nature Centre. 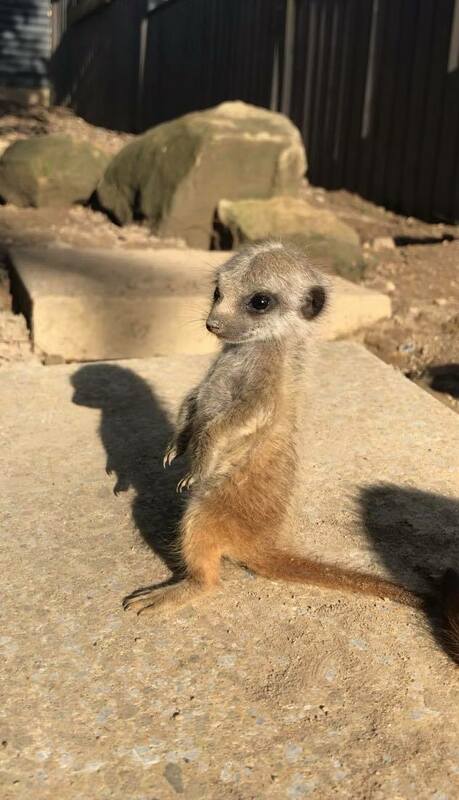 Our dominant meerkat pair, Priscilla and Montgomery, have added a few new members to their mob! Since emerging from their burrows the pups have been growing in confidence and leave no stone unturned when exploring their enclosure; though they haven’t yet got the hang of those steep hills! You can often hear them squealing for attention when you visit our Africa section.